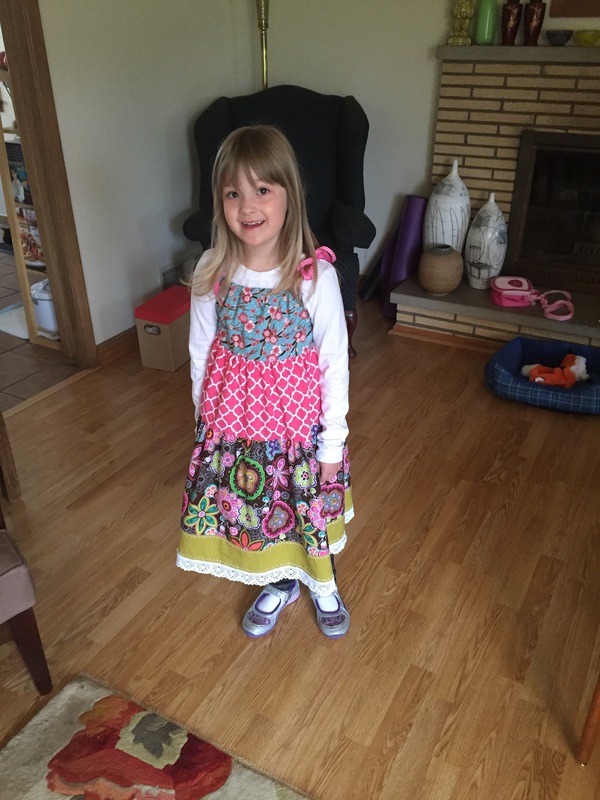 She was so excited when she woke up today and asked about her dress and I told her it was done. She insisted she wear it to school today. It is the Tiered Pillowcase dress tutorial from Polkaditchair.com. 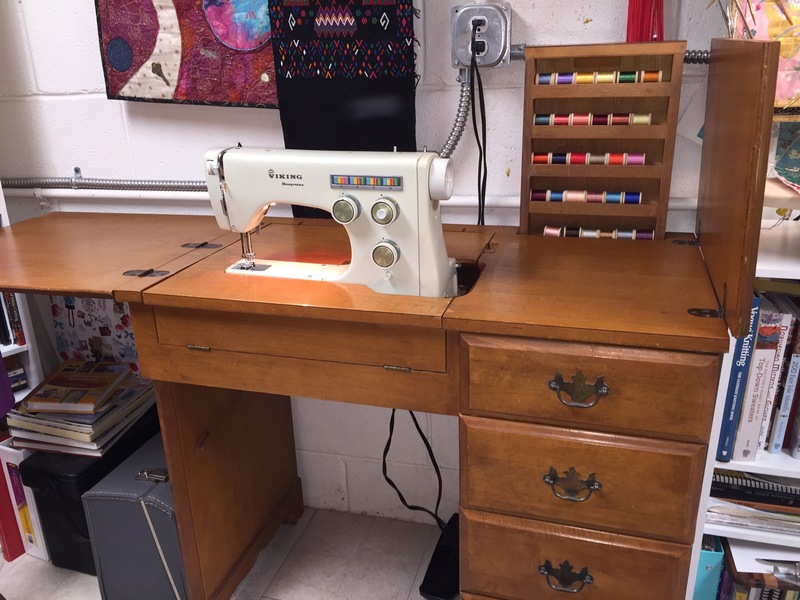 Finally I found a table made for my vintage Viking sewing machine. They look fabulous in my sewing studio!